Be sure to check out his video: https://youtu.be/JsAuWGkyvmE (and below). You asked recently on the podcast for listeners to let you know what they had on their work bench. Well I’ve been working on a tramping (hiking) radio, which is now complete. It’s a DSB 5W rig designed for 80, 40 and 20m, as well as our New Zealand mountain safety radio system. I designed everything in LTSpice as was suggested by Pete, N6QW. That was great, as I could ‘desolder’ components with the mouse and instantly see what impact it had on the output. An amazing tool that’s free! I highly recommend it. Once again I’ve used upside down strip board for each stage, which are tacked down onto an un-etched copper board (earth plane). That seems to work really well for me. 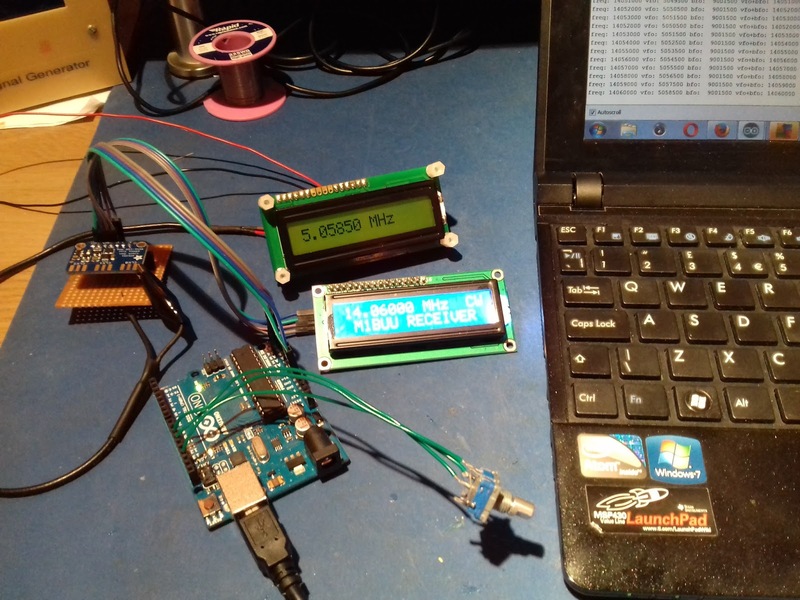 The rig uses an Arduino mini driving a small OLED screen and a Si5351 DDS. The Si5351 is going straight into a SBL-1, which seems to work fine too. The AF strip is a 2N3904 before a LM386, which has enough drive to run a speaker. The TX amplifier is a three stage one with shielding between each stage. It’s made up of two 2N2222A stages followed by a BD139. That in turn is followed by three simple filters, one each for 80, 40 and 20m. The next project will be a proper SSB rig using a crystal filter salvaged from an old Codan 7727. Like this one, it will use an Arduino and a Si5351. Finally, I am certainly no expert in homebrew, but I hope my ‘dabbling’ will help inspire others to pick up the soldering iron and give it a go. If I can do it, then anybody can! There is certainly a great sense of achievement to operate a rig you built yourself. Regards, and thanks to you and Pete for all your inspiration. OK, so from time-to-time we talk about IGY, the International Geophysical Year. I was born during that scientifically momentous period. A lot of cool stuff happened. Amazing propagation conditions too. So for a while (around SolderSmoke 149) I was using the opening bars of Donald Fagen's song I.G.Y. as the intro for the podcast. 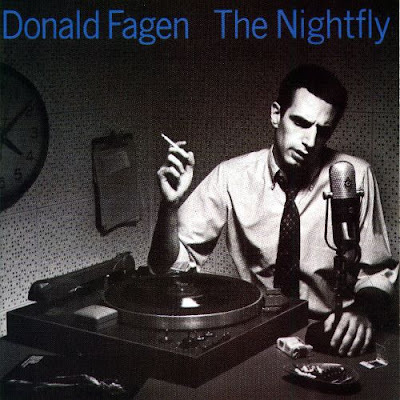 That song comes from Fagen's album Nightfly. The album cover appears above. That's Jean Shepherd. Can you dig it? Your first solo album, The Nightfly, was inspired by fifties jazz disc jockeys. Which ones were your favorites? Symphony Sid was very popular. Mort Fega was probably the best all-around jazz D.J. 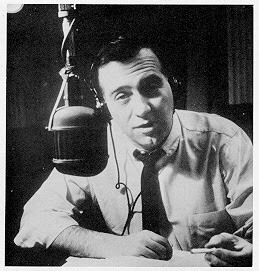 Ed Beach on WRVR would do this very scholarly afternoon show, and I’d listen to that when I came home from school. But the figure of the Nightfly was based more on a guy who didn’t play jazz records, Jean Shepherd. He was a monologist who used to just talk and tell stories and say funny things. He was a social satirist. Speaking of Shep: You've done him proud, not only in your HB radio efforts, but in proving yourself to be a very capable monologist for the several years between Mike's passing and Pete's arrival. Three Cheers for Bill! Give that man a brass figlagee with gold leaf palm! By the authority vested in me by having once spoken to Jean Shepherd, I award Steve Murphy N8NM, the coveted Brass Figlagee with Gold Leaf Palm. The new builders are often caught in a catch-22 : to get on air they need to build a rig from scratch. but to build a rig, they need lots of experience. A way out was to provide working boards where we can get on air quickly, and then start improving and modding the circuit. this is the spirit behind the new boards. Consider them like you would consider a raspberry pi or an arduino : simple, working circuits around which you can grow your own radio. In the new bitx boards, I have tried to keep as close to the original bitx as I could. however, there are a few departures that I thought the bitx builders here would like to know about. i have to admit though, strangely, i am less familiar here with bitx than many others on this form. arv, leonard, dan, andy and others have build far many more version than I did. I just happen to be the first one to build a bitx. this as much an acknowledgement of their inputs. without all you folks, bitx would not have had the kind of traction that it now enjoys. I suspect that it is the most built transceiver in the world. So, here are the changes from the original bitx. 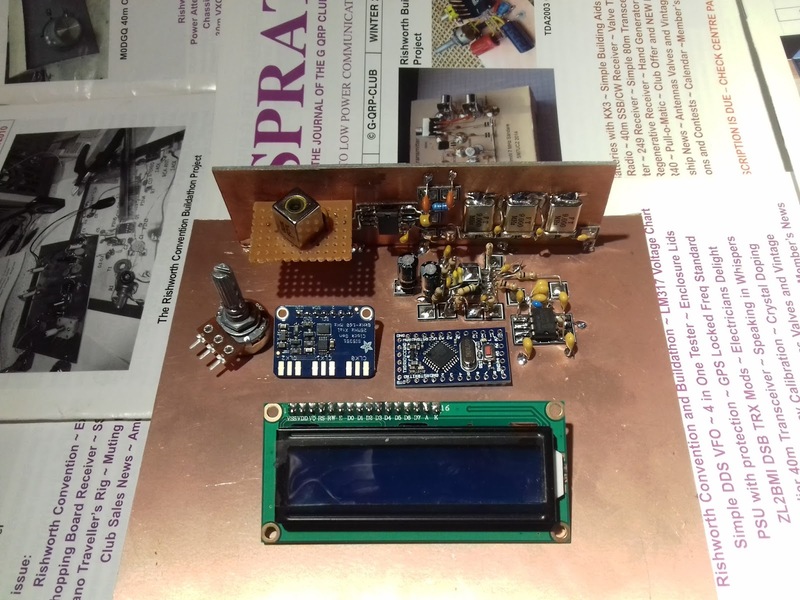 The SMD components make for virtually error free boards assembly. We used the biggest sized SMD components. In fact, the resistors and capacitors are about the same size as a quarter watt resistor that is soldered standing up. They are very easy to desolder without messing around with the desoldering wick and solder pumps. All you do is to lay the soldering iron's bit on the component such that the flat end touches both sides at once and after a few seconds just drag the component away. I soldered the sample boards with my regular, 2 dollar, 25 watts iron without using a magnifier (I wear reading glasses). It is just that with the sunspots fading away, 20 meters in the tropics is far less active than before. Many of the us South Indian hams hang out on the lower end of 40 meters every morning and evening. Hence, the choice. That doesn't mean that i can't be converted to 20m! There are several ways to change to 20 meters. Keeping the VFO same, change the crystals (and hence the IF) to 8.833 MHz and rework the band pass and the low pass filters. I will work out the details in a few weeks and post them here. The original bandpass filter was quite lossy. I didn't know how to use any CAD tools when i sketched it. I was actually on a long haul flight when I designed that filter. The new filter configuration is very interesting one. I saw it on PA3AKE's site. This is a triple tuned circuit with very good out of band attenuation while maintaining very low loss. In the last then years, ecomm has made it possible for us to globally access good quality toroids anywhere in the world. Hence, we have used T30-6 toroids with excellent low loss. I measured it at just 2 db, the original had more than 6db loss. 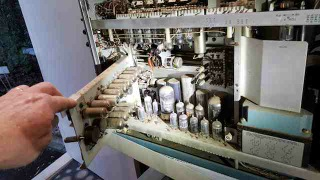 The original oscillator on the BITX used a variable capacitor. These were noisy, and often of inferior quality. In any case, they are no longer available. 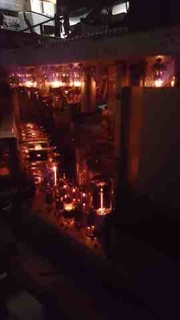 Instead, we have used a varactor diode for tuning. The greater benefit of using a varactor to tune the oscillator is that the tuning control only carries a DC voltage. You can install it anywhere. 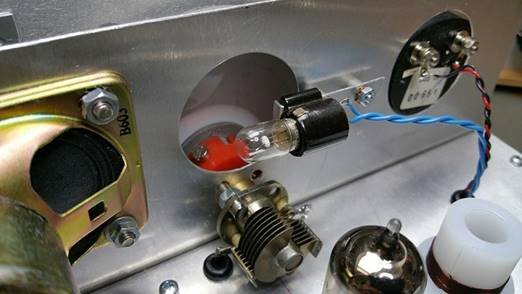 If you need finer tuning control, you can add a second lower value tuning pot in series with the main tuning pot. 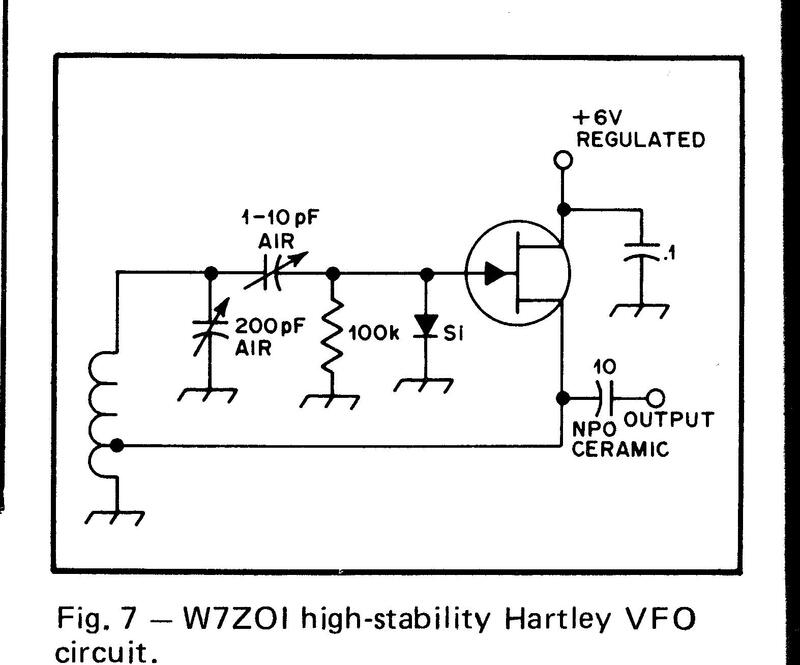 It is easier to add FLL to a VCO. 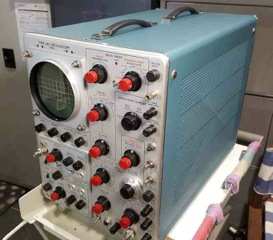 The original BITX used just a switch to move from receive to transmit. The receive voltage charged receiver's audio preamp's decoupling capacitor and it took time to discharge. this kept the audio preamp active even on transmit and caused a very sharp audio noise on the transmit change over. Now, the other section of the T/R relay is used to cut the audio off to the LM386 as soon as transmit line is energized. The original bitx didn't have a PTT. this one has two relays to switch the linear amplification chain in and out of the circuit, mute the audio and change over the antenna. These changes lead to a very stable linear amplifier and smoother change over. The original mic amplifier easily saturated. The new design, thanks to dan tayloe, has a better head room and provides very clean modulation. Though the PCB has the provision for a trimmer and an inductor to pull the crystal frequency. I discovered that with five matched crystals, if you used 4 in the ladder filter, the fifth's frequency fell right into the perfect sweet spot for LSB work. You might need to add the trimmer and an inductor back for USB work. To use the DDS, you will have to remove L4 (the VFO inductor) and inject the DDS/PLL output into the connector provided. * The current in the receive amplifiers can be reduced if you don't have any radio hams in your neighbourhood who run kilowatt amps. * The capacitor between pins 1 and 8 of the LM386 can be removed if you prefer headphones to speakers. VK3HN: SOTA, HB, SSB, and QRP FB! Great stuff. Thanks Peter! Thanks Paul! 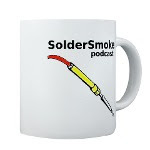 I am having a really EXCELLENT radio morning here at SolderSmoke East coast HQ. I made some progress on the Armand HRO receiver -- just squaring away some of the too-long leads and improving the shielding a bit. Then I was looking out the window as the mailman arrived. What was that little box he was leaving us? Wow! A box from Hyderabad! The BITX 40 module arrived, wrapped in a very interesting piece of Hyderabad newspaper. Very FB. Thanks Farhan. I will surely be writing and talking about this rig in the weeks to come. UPDATE: I just realized that the BITX module fits very nicely into a TenTec TPC-45 cabinet that Armand gave me a while back. TRGHS. I'm making slow but steady progress on this one. The origin of the project was the beautiful National HRO dial and gearbox that Armand WA1UQO gave me. 2) I had a nice TOYO CM455 crystal mechanical filter that would be good for SSB. 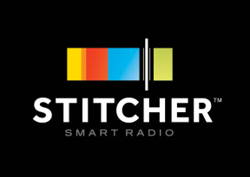 3) I figured it would be easy to add in a wider filter that would be good for AM shortwave listening. 4) I like to keep the IF below the frequency of the VFO. The wide filter turned out to be harder than I thought, but I think I have finally achieved the selectivity I was looking for. I'll have a switch on the front panel that will allow me to go from "AM-Wide" to "SSB Narrow." The switch will change the filters and the detectors, and will turn the BFO on and off. Still to do: I need a high-pass filter to knock down RFI from nearby AM broadcast transmitter. And an RF gain control would be nice. I'm really glad Radio New Zealand is there. It provides welcome relief from the shortwave fire and brimstone. Radio Romania is also doing a fine job on shortwave. The Last Hallicrafters Transceiver...REBORN! TWICE! Pete Juliano and his colleague Giovanni Manzoni led me this morning to the happy land of Hallicrafters hybrid nostalgia. I needed more background info, so I turned to YouTube. 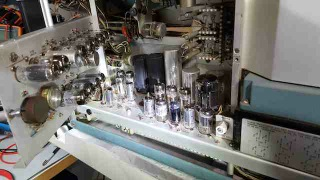 This led me to more old friends: Dale Parfitt W4OP has a really nice video of his rebuild of the Halli FPM rig (see above). From his video we learn why Dr. Juliano prescribed a dose of Si5351 for the patient: Dale tells us that VFO instability was a major problem with this rig. Dale fixed his with the addition of an X-Lock board from yet another friend of SolderSmoke: Ron G4GXO of Cumbria Designs. Dale really out-did himself by building an add-on accessory box for the FPM. Very nice. I especially liked the addition of the W3NQN passive audio filter for CW. I always have misgivings about adding audio filters to Direct Conversion receivers -- this will reduce QRM, but you are still listening to both sides of zero beat. 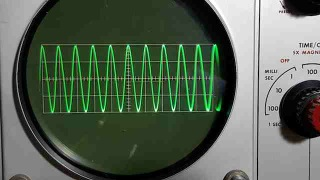 But when you add a sharp CW audio filter to an SSB superhet you will end up with true "single signal reception." FB Dale. Rob is a braver ham than I. When my Tek 465 quit, I tried to fix it, but quickly chickened out. Very nice that he painted his in Juliano Blue. The outside was heavily scratched, the inside looked like a chicken coup, but no major bits missing or broken. 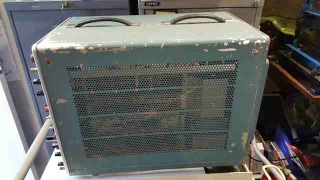 Lots of cleaning, testing all tubes,(using the excellent uTracer tube tracer), replacing the broken 3, remounting the cooling fan, lots of reading about tube oscilloscopes, adjusting the trigger circuit, rebuilding 3 electrolytic power supply capacitors, sandblasting the cabinet and a coat of BLUE paint. I have actually been melting solder recently. I decided to build a little CW receiver. I love my regenerative RX that I built as a teenager, but after all these years, I'm tired of constantly tweaking the controls! 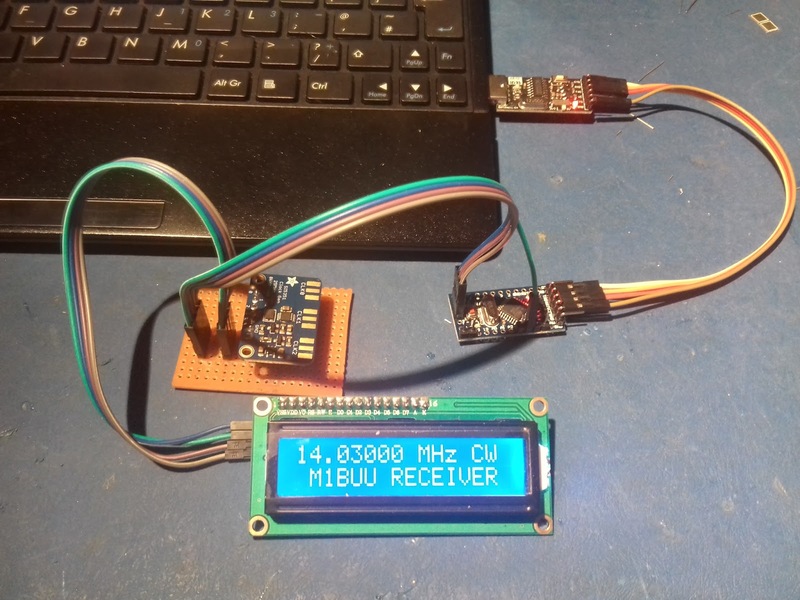 My project is a 20m CW only superhet receiver with a 9MHz home brew filter. I'm using the SI5351 for the oscillators. I originally thought I would cover multiple bands, but for now I have the parts for 20m coverage. I might tinker with other bands at a later point. I'm using your LBS code on the Arduino, the one for 20m with 9MHz IF. I haven't applied power to the rig yet but it's not far off fully built. 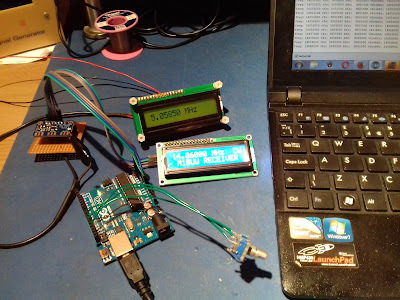 I tweaked the Arduino sketch using my Uno and tonight I have successfully transferred the code to a Pro Mini. (Code went into Pro Mini on first attempt - amazing!). This one is similar to the receiver I've been working on: middle of the HF band, discrete components, all analog, 455 kc IF, wooden chassis, eclectic circuit boards. Very cool. I came across Ko's channel when I was looking for a circuit for an AM detector. I have been experimenting with the standard one diode and two diode (Germanium) circuits, but the receiver doesn't sound very good when using these circuits. Any recommendations for something a bit better (without getting carried away with complexity)? Ko Tilman (1955) lives in the Netherlands and is active in electronics since 1967. His focus is on analog electronics, audio, shortwave radio's, small (solar) energy systems and measurement and control systems. He is the author of "Retro Radio", Isbn 978-90-5381-234-1, published by Elektor International Media in the Netherlands. In this book (Dutch text) you will find several simple schematics from Shortwave radio's (2 MHz - 16 MHz), including radio's with SSB reception. His long time knowledge about small audio systems (for household use) is available in his book "Schematics 2, audio amplifiers and loudspeaker boxes ", available on this website (a summary of the content is visible). 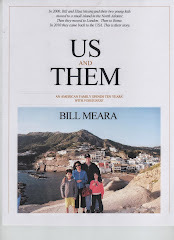 Also in an E-book format: Isbn 978-1-4475-7336-4. In the past (2008-2010) he was active on You Tube under the name "radioam232", now he is active on Youtube as "radiofun232". A free download from the activities in the "radioam232" period is available on this website in the content "blueprints 1". After the Dayton Hamvention, our ace correspondent Bob Crane (W8SX) sent me the "Hamfest Buddy" kit that Rex Harper W1REX had put together and used in "The World's Biggest Build-a-Thon." 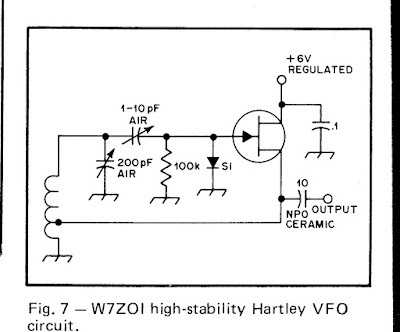 It is a single 2N2222 crystal-controlled oscillator for 20 meters. All the parts are plug-in -- no solder smoke is released. Mine went together in about 15 minutes and fired right up. You can see it above. It runs off the 9V battery. I had to hold it down with tape. You can see the key button in the lower right. That little inductor in the foreground is used to shift the frequency a bit. I had to remove the 10K resistor in the emitter circuit because with my antenna the circuit was going into low-level oscillation even in key-up. With the 10K resistor removed, this problem disappeared. A couple weeks ago I ran into Jim KW4KD on 40 meter SSB. Jim is in Chattanooga, Tennessee. 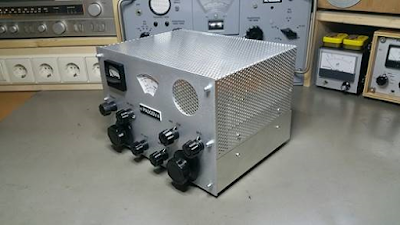 He was running a modern "black box" rig, but he mentioned that he had on the shelf two complete homebrew stations, one of which was for 40 meter SSB. He hadn't used this gear in 40 years. I encouraged him to blow the dust off and get it on the air. Yesterday, Jim did just that. We met up on 40, first at 1730 local (my time) and again at 1930. Excellent! Another HB2HB contact. Check out the video (above). Thanks Jim. 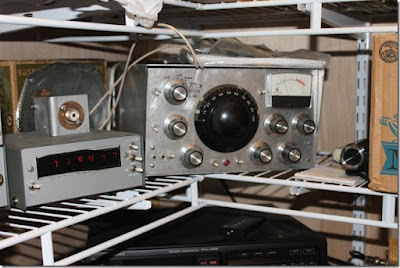 If you run into someone who mentions having some old homebrew gear, encourage them to blow the dust off and get it on the air. Dennis Klipa N8ERF has been doing great work exploring the technical intricacies of the humble SWR meter (and believe me, there are intricacies). He's also been looking at the history of this invention. This summer, Dennis and I came across the April 1964 issue of Popular Electronics. On pages 74 and 75 of that issue we found a clue that seemed to point to the origins of the device: the article referred to Naval Research Lab Report #3538 by O. Norgorden, published on September 15, 1949. This may be the paper that led to the widespread use of SWR meters by radio amateurs. Surprisingly, this important paper was not to be found on the internet. Exhibiting an admirable dedication to the preservation of an important element of the radio art, Dennis wrote to Naval Research Lab and purchased from them a copy of the report. Unfortunately, the version Dennis got had been copied and recopied so many times that it was hard to read. So he went the extra mile and re-typed it. Three cheers for Dennis Klipa for unearthing this important piece of radio history. Spy gadgets have long been a fascination of mine, particularly those disguised as harmless everyday objects. I remembered a Soldersmoke blog post a few months back showing a radio hidden inside a book. 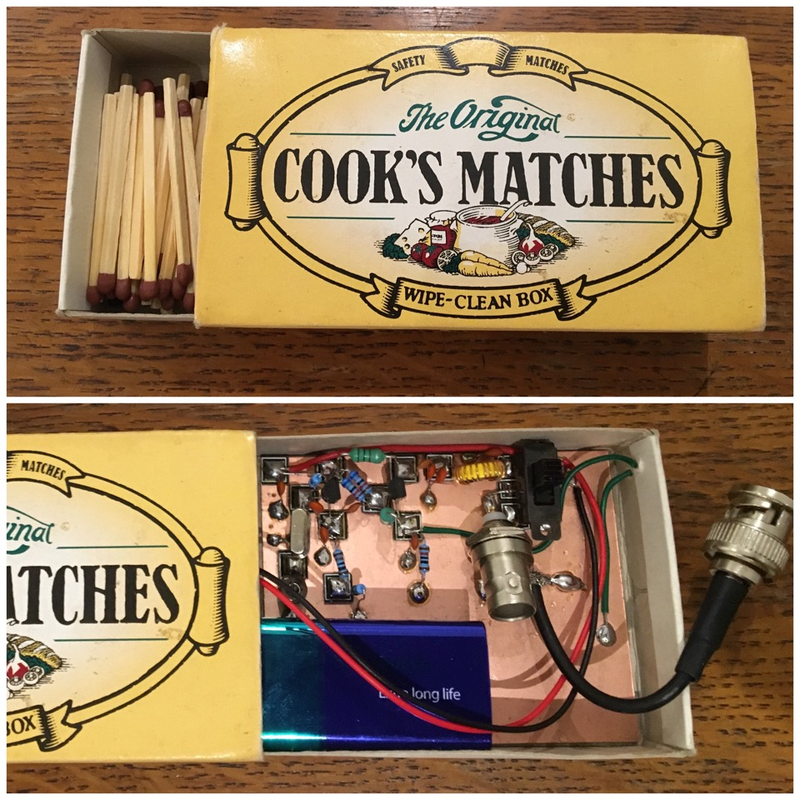 That got me thinking… then one rainy afternoon I stumbled across a half-used box of matches – surely an ideal enclosure for a covert spy transmitter! The transmitter borrows heavily from the Pixie 2 circuit and is based around two PN2222A transistors: the first forms a Colpitts oscillator for 7030kHz (plus/minus a smidgen of capacitor trim), the second acts as a modest Class C power amplifier (approximately 170mW out) – keying occurs here, to minimise chirp, before feeding a simple low-pass filter. Discrete contacts set in the cardboard allow Morse to be keyed with my grandmother’s old sewing thimble – not only is this beautifully stealthy but it’s remarkably ergonomic too! The transmitter can be easily teamed with an external receiver, selectable via a double-pole-double-throw switch. The switch simultaneously disconnects the battery, eliminating the audible whistle from the constantly-running oscillator. But remarkably the transmitter worked first time! Bench testing by calling CQ whilst monitoring the Reverse Beacon Network demonstrated that its tiny signal could be picked up as far away as northern France when driving my resonant end-fed antenna! Ever since I discovered the magic of QSL cards I have always wanted to send one showing a hand-drawn diagram of my transmitter; perhaps I’ll now have a chance! The boards come assembled (as seen above). You can then add peripherals and modify away. It is "hackable." The PCB uses all analog large sized SMD components that are laid out on an easy to understand manner on a double sided board with broad tracks. This can be your main module around which you can start experimenting. There are jump-points from where you can add more modules like the DDS, more bands, better audio amplifier, etc. Imagination is your limit. You can separately increase the power amplifier's supply voltage to 25 volts to be more than 20 watts of power : You will have to add a better heat sink. The mods are on the way! The board can be installed inside any box that you like. Make your own station rigs, man-packs, trail radios or mount it in a cigar box and leave it on your bedside table. The tuning capacitor has been replaced by a varactor tuning so you can place the tuning knob anywhere as it only carries a DC voltage. For the last few months we have been working bringing low cost, tested SSB boards. Finally they are here. Priced at Rs.2200 At the moment, they are available only in India until we sort out an inexpensive way to post them to other countries. Visit www.hfsigs.com and pick up one! 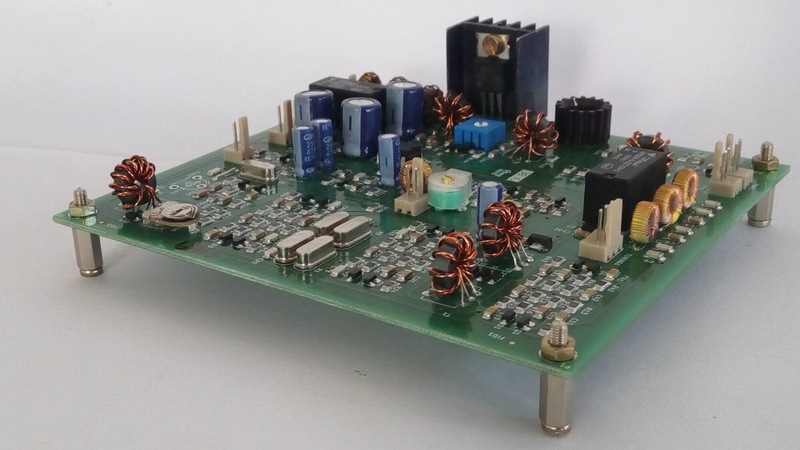 The BITX40v3 is a complete 7 MHz SSB transceiver on a board that puts out 5 watts of clean audio and it has a very crisp, all analog receiver. It is based on the popular BITX circuit. It is a high quality double side, PTH PCBs with machine assembled SMD components, hand wound coils and each of them is individually tested. All the connectors and wires needed are included in the kit. Makes me want to put S-meters in my rigs. In De Ether (English Subtitles) from Ivo Maes on Vimeo. It is a real honor to have my book reviewed by DSB guru Peter Parker VK3YE, and to have him do the review from the iconic "DSB-SSB" pier in Melbourne, Australia. Check out the video (above). Thanks Peter. I suppose it started with a knob and a pointer to know (guess) where you were on the band, probably most radio builders did the same, and some still do, but as long as it worked you were very satisfied, what a marvelous feeling when you switch on and those electronic components do their job and deliver the goods......amazing. So time moves on you get better at building and technology gives you a hand, LCD displays, homebrew frequency counters,cheap components, wow now you Know where you are on the band. Then I saw your rig with a colour display and DDS "I gotta get me one of these." I watched most of your videos, Your "easy going, down to earth manner" made it look easy to do. I love the internet, without it I'd probably still be using knobs and pointers, there are is a wealth of knowledge available to those lucky enough to have access. I also love email, as you can now contact people who are willing to share their projects and give advice. So the LBS well it certainly works, so few parts but they are all eager to please, with the display (did I mention the display) it is a project you can be proud of. I don't know if it will ever go in a box as I just love to look at it and I'm amazed at what comes out of the speaker. As is well known, I'm more of a knob and pointer guy myself, but I understand the attractions and advantages of the glowing numerals. And I definitely sympathize with Peter's comment about the beauty of an in-boxed rig.